Chinese smartphone maker Oppo has slashed the prices of its Oppo A5 and Oppo A7 smartphones in India. The new prices are applicable on the smartphones starting March 20. 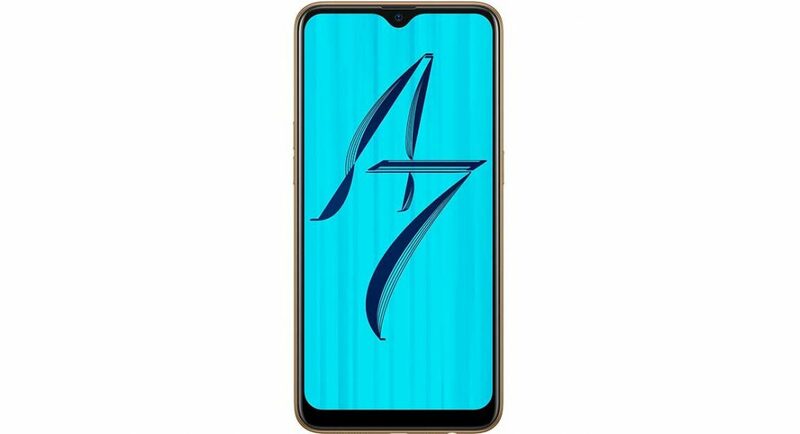 Interested customers can purchase the Oppo A5 and Oppo A7 smartphones from Flipkart, Amazon India, PayTm, Snapdeal, TataCliq and the company’s mobile stores to avail the offer. Both the smartphones were launched last year and come with a good set of specifications, attractive design and they are priced in the mid-range segment. The 4GB RAM variant of the Oppo A7 is getting Rs 1,000 off of its original price while the Oppo A5 is getting Rs 3,000 off of its original price. Today onwards, the Oppo A7 4GB RAM variant can be picked up at Rs 15,990 which was originally sold for Rs 16,990. On the other hand, the Oppo A5 can be purchased for Rs 11,990 which originally was available for Rs 14,990. The Oppo A7 sports a 6.2-inch In-Cell HD+ (1520 x 720 pixels) resolution display with a waterdrop-shaped notch. It is powered by Snapdragon 450 SoC coupled with 3GB or 4GB of RAM. The Oppo A7 comes with two storage variants, one with 32GB and the other with 64GB storage. Both the variants can support a microSD card of up to 256GB. The device runs on Android 8.1 Oreo skinned with ColorOS 5.2. The Oppo A7 packs a 4,230mAh battery that comes with VOOC charge technology. The device packs a dual rear camera which comprises of a 13MP primary sensor with a 2MP secondary sensor. On the front there is a 16MP selfie camera. The device also packs a rear-mounted fingerprint scanner. Coming to Oppo A5, it sports a 6.2-inch HD+ IPS LCD display with a notch. It is powered by the an octa-core Cortex A53 SoC coupled with 4GB RAM. The device packs 32GB of internal storage with support of a microSD card up to 256GB. The Oppo A5 runs on Android 8.1 Oreo skinned with ColorOS and packs a 4,230mAh battery. The Oppo A5 comes with a dual-rear camera setup at the back which comprises of a 13MP primary sensor paired with a 2MP secondary sensor. While at the front there is an 8MP selfie camera. Reducing the price of the devices before Holi is a wise move made by the company. With the prices reduced both the devices have become more purchasable for the features they offer. So, users who are looking for smartphones with good features but in a budget can go for these devices.